C.S. 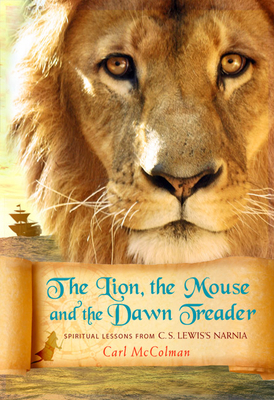 Lewis built his illuminating story of The Voyage of the Dawn Treader around the Christian journey: from resisting God's grace to discovering the reality of sin to finding relief in the waters of baptism. This voyage, for Christians of all ages, is full of adventures, temptation, discomforting silence, dealing with “Dufflepuds” (distractions), and a final terrifying journey to the “Island of Darkness” (the dark night of the soul). As the Dawn Treader sails beyond where the stars sing, you will discover a world of wonders characterized by light and clarity, and encounter Aslan–Christ–himself. Carl McColman is also the author of The Big Book of Christian Mysticism and the popular blog The Website of Unknowing (www.anamchara.com.) He lives near Atlanta.